Let’s face it; everyone wants a great social media presence and a ton of followers and ridiculously high engagement levels. Unfortunately, this is much easier said than done for most people. When it comes down to it, every social media platform is hugely competitive, with everyone trying to grow and be successful at the same time in their own different way. Instead of just letting your following and presence grow little by little each day, why not try growth hacking? Growth hacking is all about experimentation. It’s all about testing various growth strategies and seeing which ones work best for you and help you grow the most rapidly. So, if you’re looking for some things to try out that could grow your social media presence and following, you’ve come to the right place. In this article, we’ll take a look at several different strategies and tactics. Some will be very simple, quick and easy to do, while others might take a bit more planning. Ultimately, what you can be certain of is that these are some of the best methods to help grow your social media presence quickly and efficiently. Get a baseline read and a strategy. When it comes to growth hacking your social media, you should be sure to set get a baseline read on your presence before you do anything else. So get a good analytics program, whether it’s native or paid for and figure out base metrics such as starting follower base, average likes, shares, comments and new followers per day/week/month. Generally speaking, you want to analyze about three months of activity to get a well-rounded view. Then, once you’ve seen these, decide what you want your goals to be and then come up with a documented strategy on the ways in which you are going to try to achieve this. These goals can be anything and can range from wanting to double your engagement over the next week or wanting to get 25 extra followers a day. When it comes to tactics, your creativity is your only limit. My suggestion? Contests and competitions work like a charm when it comes to spreading popularity and as I’ve said before—there’s totally an app for that. Check out some specific examples on how others have successfully growth hacked their social media presence in your specific niche and then do what they did or figure out a way to improve upon an example that has worked in the past. If your engagement in the social sphere is sporadic and inconsistent, you shouldn’t be surprised if you’re experiencing sporadic and inconsistent engagement from your audience. You reap what you sow. I can’t emphasize enough the importance of treating your audience like your friends. You have to build awareness, build familiarity, build a relationship and build trust. In order to do this, you need to remain a consistent fixture in their news feeds. They need to get used to seeing you on a regular, frequent and scheduled basis. Whether you’re creating your own content or curating your heart out, be like Nike and just do it. Blogging and vlogging has helped numerous businesses grow their social media presence extremely fast. 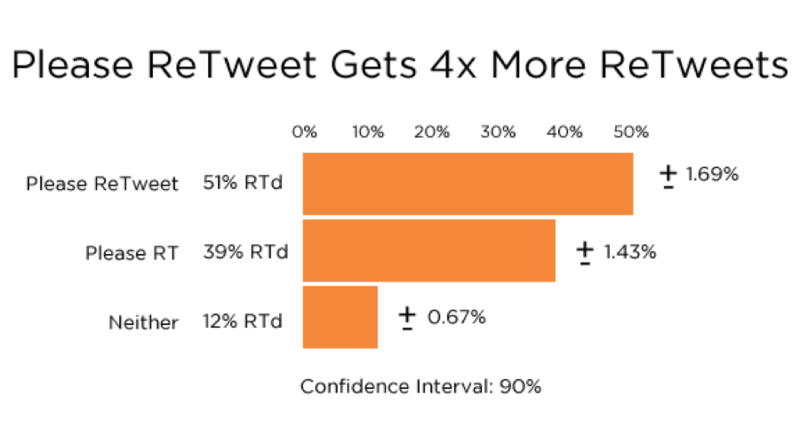 If you want your social presence to grow, you need to show up. Now, being active doesn’t mean you need to post once an hour, every hour on the hour, but you should definitely be posting on a daily basis at the very least. Finding this a daunting prospect? Don’t worry, most businesses do, which is why the smart ones automate this process. I once heard a quote from a successful entrepreneur that said, “Most men will spend time to gain money, but the smart ones spend money to gain time.” I cannot emphasize how important this concept is when it comes to tackling the social media beast. Don’t sacrifice your brand’s identity because you can’t keep up the pace. Find a social media management platform that can allow you to not only schedule your posts, but also post them across different platforms all at once. Switch to video—engagement rates are killer. A recent survey found that social media video receives, on average, 135% more organic reach than a photo. 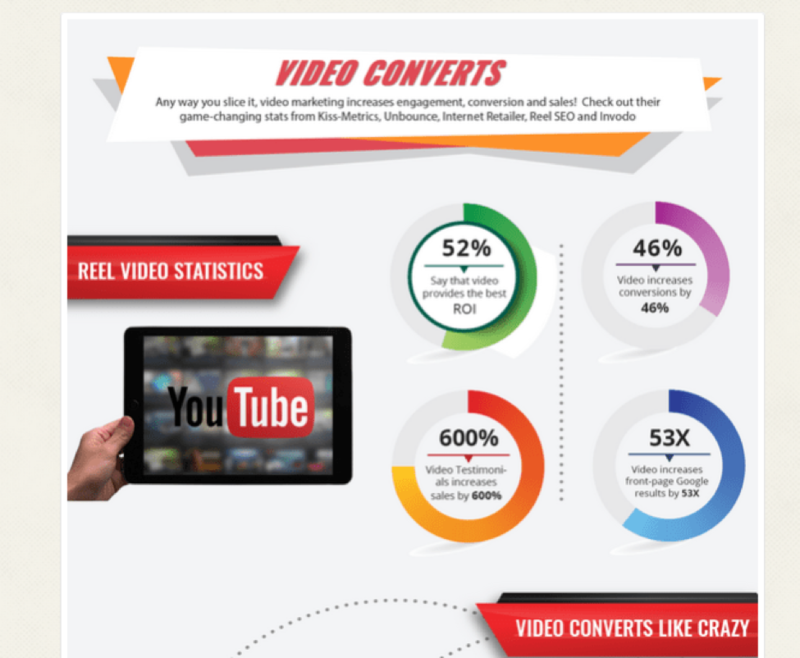 When it comes down to it, people just engage more with video content. Now, you can post blogs, images and diagram your heart out, but you’re simply not going to reach the levels of engagement you will with video. While you realize this, chances are you’re one of the many businesses out there who just simply haven’t decided yet to make the jump and invest into some solid video content. Now, I’m here to tell you that’s absolutely fine and you have every right in the world to choose not to grow your social media presence in the best way possible—but just know your competition is. 60% of individuals prefer watching video over reading text. Video has become absolutely essential. In fact, ironically enough, the Social Media Examiner also found that 60% of marketers use video in their digital marketing and 73% plan on increasing their use of the content. If you’re active on any social media platforms out there, you’re aware that many big-time personalities or companies keep up with the trending topics. For example, you can pretty much count on the fact that if you haven’t already, you’ll very quickly begin to see a momentous surge in posts about Halloween. This applies to all sorts of aspects. It’s football season, right? 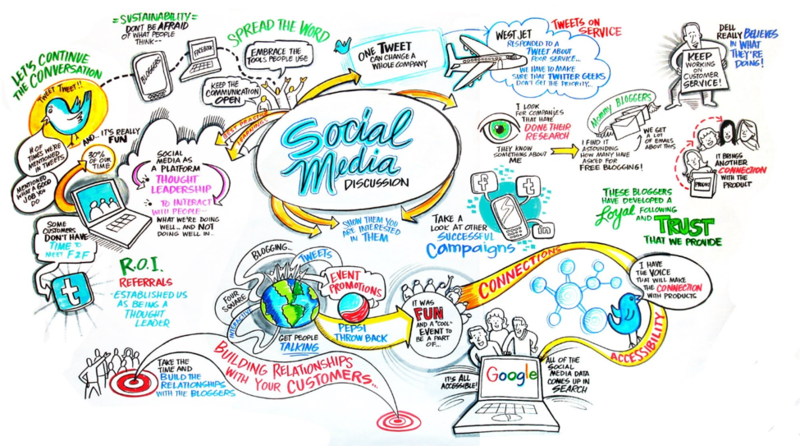 What do you think a ton of people are talking about on social media? Whether it’s technological advancements, or #WomanCrushWednesdays, stay on top of the trends so that you can cater to a wide audience and talk to them about what they want to hear. Running behind on all that market research? There’s an app for that. Seeing a trend here? Good. Apps such as TagsForLikes do the research for you. You can find trending topics based on almost any niche you can think of from fashion to sports to politics and more. 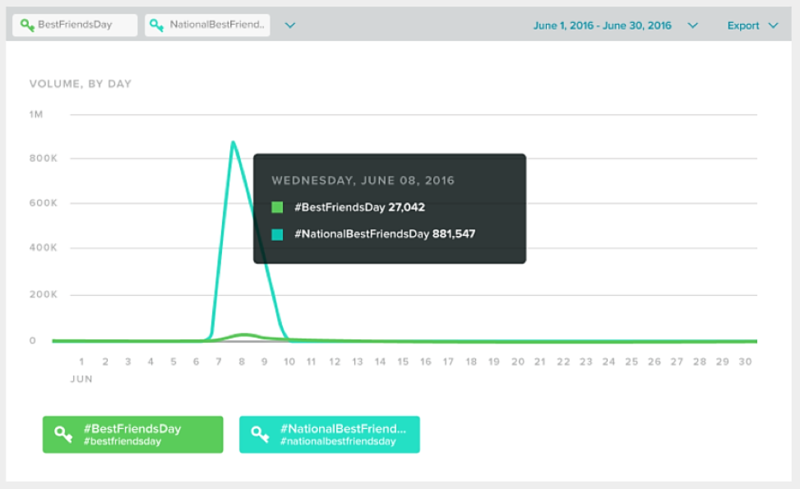 So find an app that can get you the hookup on trending tags and topics and use them. Every social media platform has “peak hours” in which the most people are using and posting on their network. While you might instantly think to post when everyone else is (as that is likely to get you the most eyes, right? ), think again. Contrary to popular opinion, you can boost your engagement and grow your social media presence by doing the exact opposite of most brands in this case. Why? Because when you post during non-peak hours, you don’t have to fight your way through tooth and nail to cut through the clutter of competition. A good friend of mine does social media influencer work and when she started out, she was told by one of the clients who hired her for influencing purposes to vlog only during peak hours of 7PM to 1AM. In fact, they gave bonus compensation to vloggers who did this on a consistent basis. However, one day when she had some free time in the early afternoon she decided to throw up some livestreaming content. Much to her surprise she found that she got some pretty high engagement rates. So, she did this a couple more times and found that when she broadcasted during these non-peak hours, she was getting awesome engagement because she simply just didn’t have to tear her way through thousands of competitors. You see, the audience, the demand was still there, but it wasn’t being met as much. She had tapped into gold. Of course, you shouldn’t exclusively post in non-peak hours. You should experiment first, and see what works best for you. Perhaps if my friend was simply just on another platform, her situation wouldn’t have turned out the same because of the endless amount of factors that could have applied in the changed situation. The truth is you never know until you try. So lucky for you, growth hacking is all about experimentation. Influencer marketing is taking off and more and more businesses are realizing that they are achieving higher ROI when they leverage the reach of others. In fact, Inc.com recently threw up a post showing that influencer marketing achieves 11x the ROI of any other form of marketing. That’s pretty insane. Did you know that 92% of people will trust a recommendation of an individual, even if they don’t know them, over a brand? Even more interesting is that 20% of women that are active in the social media sphere have mentioned they are “motivated to consider” products promoted by influencers they are familiar with. When it comes down to it, corporate distrust is pretty sky-high and most people simply just trust their peers much more. When you purchase a product on Amazon what is one of the first things you check? If they’re poor and you’re met with individuals saying how disappointed they are in what they received, chances are you’re not buying from them. However, if they’re high and people are raving about a product, then you’re more likely to purchase it. If you agree with this, well, you’re in the majority, because 70% of consumers report online customer reviews as the second most trusted source they can think of. Just do a quick Google search and you’ll find endless information on the benefits that CTAs have when it comes to engagement. So if you’re one of many out there who sometimes feel uneasy about implementing CTAs, you should probably get over that feeling, because they work. Adding a CTA to your Facebook page alone has been shown to increase click-through rates by an insane 285%. Figuring out where and how to implement your CTAs can also play a huge factor in engagement. Kissmetrics found that when they embedded a CTA within their video content, they received a 380% increase in clicks than when they used their CTA elsewhere. Hubspot found their anchor text CTAs increased conversion rates by 121% and ContentVerve saw a whopping 90% increase in engagement by simply re-phrasing their text to the first-person (i.e. “Start my free 30 day trial” vs. “Start your free 30 day trial”. The numbers don’t lie. Numerous businesses have reaped the benefits associated with well-implemented CTAs, so why shouldn’t you? Growth hacking is a pretty intense process. It requires lots of time, energy and a whole lot of meditation for some of us. You have to experiment—a lot–and you can’t be afraid to fail. So view it as a learning process. 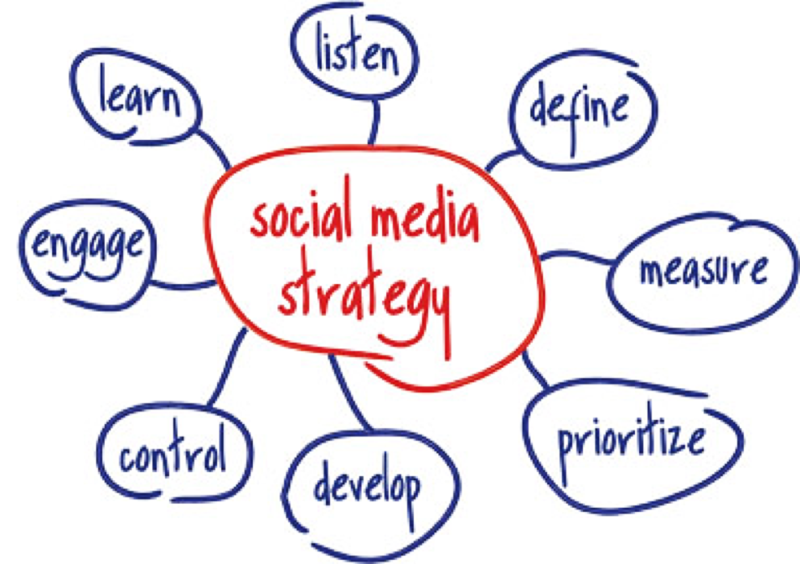 When it comes to your social media presence, you’re going to have to find the best methods that fit your particular and unique situation. Needless to say, it’s going to take some time—but when you find your perfect set of growth hacking strategies—they’ll be well worth their weight in gold. 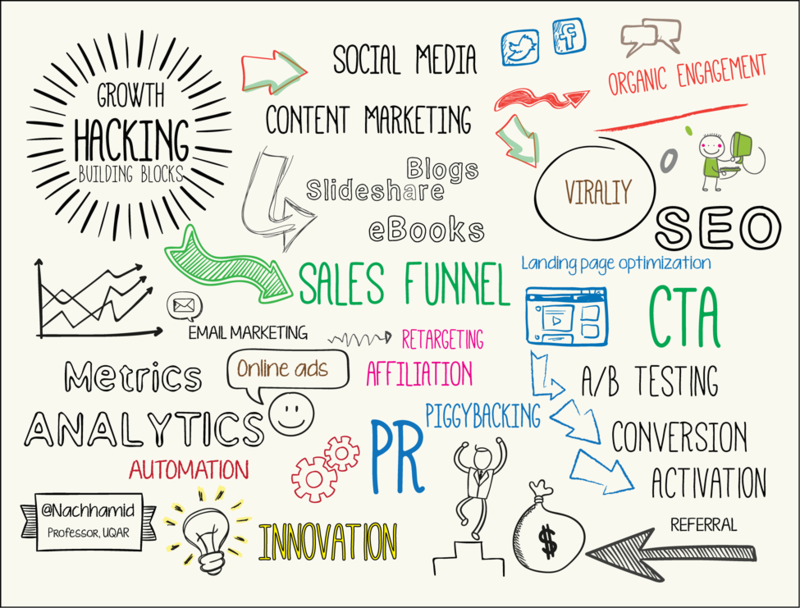 Have you ever been successful in implementing a creative growth hacking tactic? Share your story!